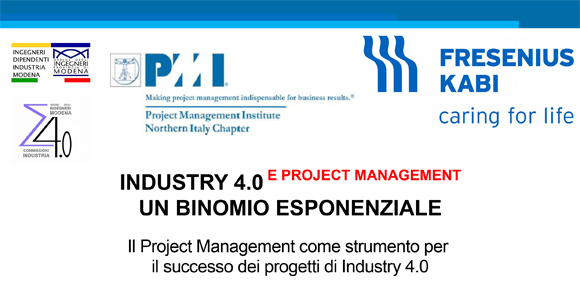 Project Management as an instrument for Industry 4.0 project’s success. Blulink partecipates, though the contribution of Bernhard Konzet, at the seminar organized by Fresenius Hemocare in collaboration with PMI. Industry 4.0 isn’t just loans and facilitations for the companies: it’s -above all- innovation; a necessary innovation not only for the increase of business and of margins, but also for the outliving. the competitivity, the connectivity and communication, essential elements to stay on the market. During the encounter we’ll talk about howProject Management’s metodology is one of the essential instruments for the success of Industry 4.0 projects.